Have you heard about this? It's been talked about on national news. Once again we behold the power of YouTube. It's a video clip that has had thousands of hits on YouTube. The clip is of someone skiing down the longest escalator in Europe (300 ft). It's actually a section from a new ski video called "Mind the Gap." London officials are looking for the man who did this stunt to at least give him a good talking-to. It's definitely one of those "do not try this yourself" things. Here's the clip, join the other bajillion people watching! There are several bear dens we know of located on the mountain. With the recent warm temperatures the bears have been waking up a few weeks early! They've been spotted walking around on the runs several times in the last week. 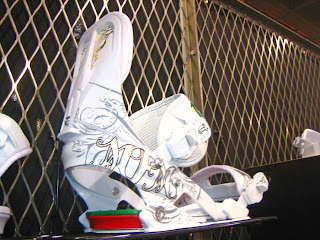 A lot of you like to snowshoe or skin up the mountain to ski/ride down in the post season. The DOW has asked us not to disclose the location of the dens. So just use some caution as we've seen cubs out lately. Please avoid the upper West End area right now as one family of bears are quite active over there at this time. In fact, this family of bears were spotted several times on closing day but unfortunately we don't have a good picture to show you. The moose are quite active right now as well and have been spotted at Powderhorn. Lots of animals tend to stop by the base area in the spring and summer. We like to stay out of their way but snap a picture as well. When we do, I'll post them on here! It's always a little weird after we close. The resort goes from busy with people everywhere to quiet and empty. It's also a little like back in the day when you had to say goodbye to friends at the end of the school year. There's a lot of "have a great summer" and "see you next year." It makes you feel like you should be signing yearbooks or something. 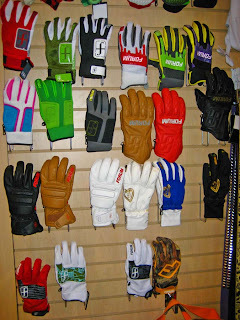 It's time for those of us that are year-round employees to switch gears and begin work for the next season. A lot of people ask me what it is we do during the summer. Well, for the next several weeks we'll be running reports and analyzing the entire season. We look at successes and failures and then start making our departmental plans for next season. We're also going to start construction of the mtn. biking trails as soon as possible and prepare to be open for the summer so come visit us! I'll keep the blog going, although it probably won't be daily. We all switch to working Monday-Thursday so look for blog updates then. I'll be posting pictures of the progress of the new trails, pictures of the wildlife we see around the mtn, and updates on our plans for next season. You'll be the first to hear about the prices for next season and new season pass deals. Also look for 4-pack deals! Unfortunately I have to inform you that today, March 26, will in fact be our last day for the season. Due to the warm temperatures our conditions just do not permit the mountain to remain open. We'll begin construction of new mountain bike trails as soon as possible and be open for the summer along with the Inn at Wildewood, Wildewood Restaurant, and the Alpine Trader. 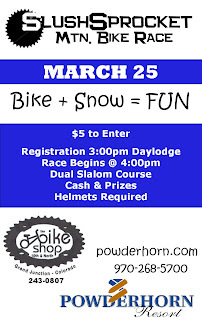 Stay tuned to www.powderhorn.com for details. THANK YOU all so much for a great season. We hope you had a great time at Powderhorn and we look forward to doing it all again, bigger and even better, next season. Thanks to everyone who competed in the first ever SlushSprocket Mtn Bike Race! It was a great time. We'll definitely do this again next year. Here are the winners and a few shots from the race. Some of the employees up here got really into Throwback Day. Spandex is hardly ever a good thing...and you're about to see why. These people, who shall remain nameless, hold these positions at Powderhorn. Can you match them up? Bikes, snow, slalom ski course, head-to-head racing....what could go wrong? Come to race or just hang out and watch. The race has been moved to Peacemaker so everyone can watch from the Sunset Grille deck as well as the Wildewood deck. Come grab some grub and a beer and watch the carnage...I mean competition. We're all moving a little slow up here today. Our backs are sore from playing limbo and trying to hoola-hoop. 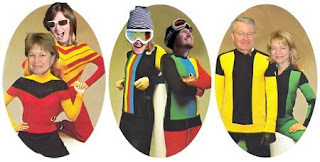 Last night's employee party involved great BBQ courtesy of ski patrol, great entertainment courtesy of "Wheel", several rounds of limbo, tons of prizes, and lots of hoola-hooping. Yes the Powderhorn Employee Luau was a good one. A BIG congratulations to Bil Law and Stephanie Reynolds who are both celebrating 20 years with Powderhorn! 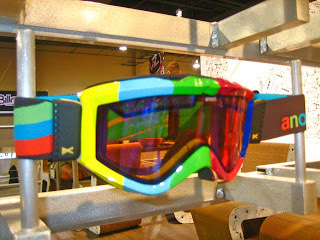 New line of Burton Snowboards- how cute! If you aren't on our text subscribers list yet, use your cell phone and text the word MAGIC to 95495. Magic 93.1 and Powderhorn are giving you $9 off a lift ticket the entire week. All lift tickets are just $30! Oh this is going to be good! It's a mountain bike race on the snow. 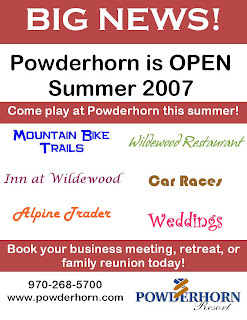 What better way to announce there will be mountain biking this summer at Powderhorn? Plus it's just a good excuse for some goofy spring shenanigans. Everyone is welcome to compete. The cost is $5 and the winner takes home the cash pot. 2nd and 3rd places will take home prizes. Ever wonder what those ticket scanning thingies are really for? The ticket scanners are linked to a system that accounts for every ticket and pass on the mountain. It also tells the ticket checker immediately if that pass is invalid or if fraud is possibly taking place. The ticket scanning system reports every bit of information you could think of. For example, we can tell how many skiers & snowboarders are at the mountain each day. 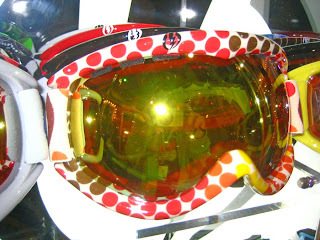 These are referred to as "skier days." We run reports at the end of the season that tells us how many people we had at the mountain the entire year. We can also see exactly how many Adult, Young Adult, etc tickets are on the mountain at any time. It tells us how certain promotions are working. It tracks how many times people use their season pass or plus card. It can even tell us what you ate for breakfast that day. Ok just kidding, it's not that thorough. So those scanners are doing more than just checking to see if you paid for your ticket. They're a marketing geek's best friend. And you are literally the first people to hear outside of Powderhorn. Press releases will be going out soon and check out posters at the mountain. But for now you get to hear it first. It's going to be a fun summer! We'll be making a big announcement and celebrating our expansion into mountain biking at the SlushSprocket Mtn. Bike Race on March 25. Today I learned to snowboard. I've been skiing for 15 years and thought I'd give snowboarding a go since it's so nice outside. I didn't need a coat especially since I was doing a lot of push-ups and the like, picking myself up off the ground. Point being, it's the perfect time to try something new. If you snowboard, try skiing...or vice versa. Or try telemarking. The Ski School is having another Tele Clinic on March 24. 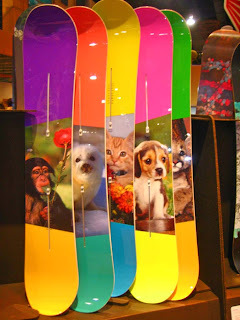 The Rental Shop can outfit you with a snowboard package for $25 or just $19 for a ski package. Falling doesn't hurt as bad when the snow is so soft! Get on the slopes, it's great! Being the marketing dork, I like to know what our guests are thinking. We'd like to hear your thoughts about the terrain parks this year. Please leave a comment and let us know. Or, if you are on Myspace, you can answer the question on our Myspace page. What did you think of Powderhorn's terrain park this year? We welcome comments, ideas, etc. Thanks! Warm weather and great snow conditions have made for ideal spring skiing at Powderhorn. 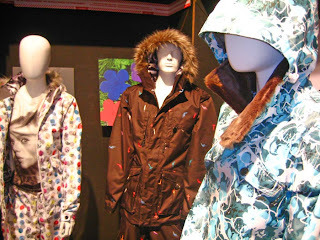 With Spring Break on the way, grab your sunblock and a hoodie and get on the slopes. We have live music in the grille and plenty of space on the deck for you this weekend. Our new terrain parks snowcat just arrived! She's a beauty huh? On March 31st we will be having one last Rail Jam. The good news is it's FREE. The really good news is the feature is the Smith Limo! You get to jib the same thing you've seen in the videos and magazines. 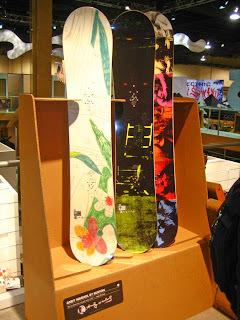 Plus K2 Snowboards will be on hand and we'll have TONS of giveaways to celebrate the last weekend of the season. Let us know if you have a special trail named...you can keep its location a secret though if you'd like. Forecast is calling for 3-5 additional inches today. Come stake your claim on a powder stash! So what exactly is patrol out there doing all day? Well they're not just getting first tracks. The Powderhorn Ski Patrol are an amazing crew made up of 25 Pro and 27 National Patrollers. They are ready to go each morning by 8:00am. Their day begins with a morning meeting/briefing. One person will head up the mountain on a snowmobile and start the morning dispatch from the top. Other patrollers start checking fences around the base area, check sleds, check first aid supplies, and ski pack the mazes (lift lines) if needed. Then they load the lift. Every patroller must check in once on top. They are given assignments based on what has been placed in the log book for the day. They spend time checking runs, sleds, tower pads, and overall scanning for hazards. They are also of course responding to any incidents all day. A minimum of 2 patrollers are in the shacks at each time. There is one on dispatch and another available to respond to an event. These rotate all day. When 4:00 comes, patrol leads 'sweep.' This is when the entire mountain is skied and cleared to make sure no one is left out there. Everyone leaves from the top at the same time each with a run assignment. There are several checkpoints along the way. Once they arrive at the base area, they do a roll call and then debriefing. Everyone keeps their boots on through final meeting just in case of any last minute need.